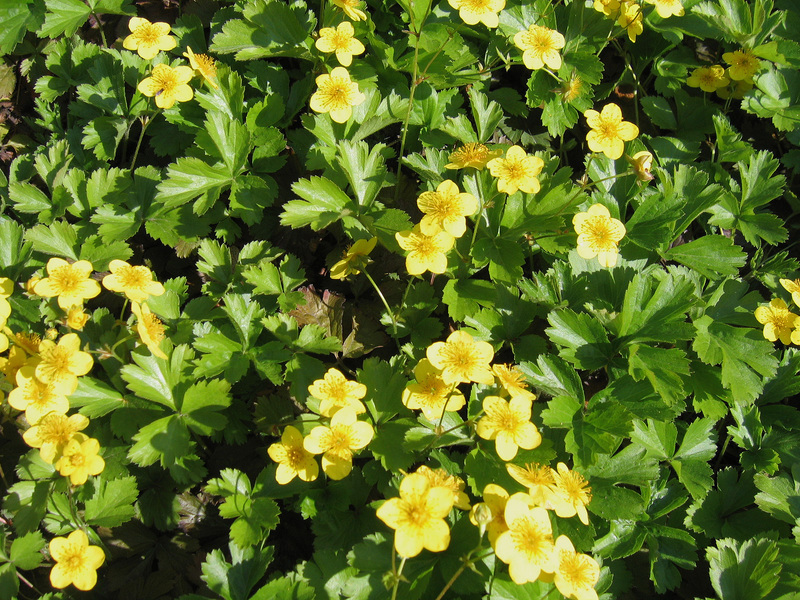 Groundcovers play an important role in a home or business landscape, providing texture and reducing maintenance while casting a low, nearly navigable terrain. If you think about it, landscapes with vegetation about a foot high are really what our ancestors were accustomed to traversing before low-cut lawns became commonplace. Monocultures — that is mass plantings of one species — can be vulnerable to diseases or insect infestations since there are no barriers to impede their progress. Most of the time, this is not of concern with those decorative plants suggested as groundcovers. Still, it never hurts to diversify, so consider mixing and matching a combination of groundcovers to beautify your landscape. Cleavers/Sticky Willy (Galium aparine), and Columbine (Aquilegia canadensis). 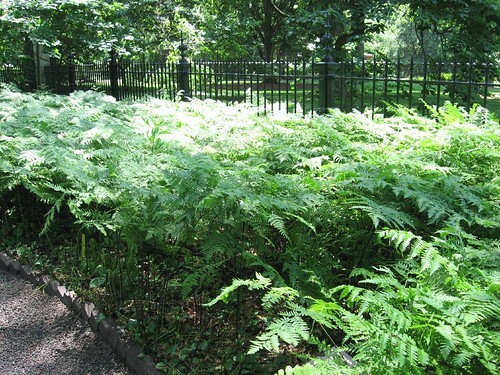 Some plants promoted for their ability to fill in an area quickly are, by their very nature, too invasive to invite to your property. Many a gardener regrets introducing a species they had to work years to eradicate. 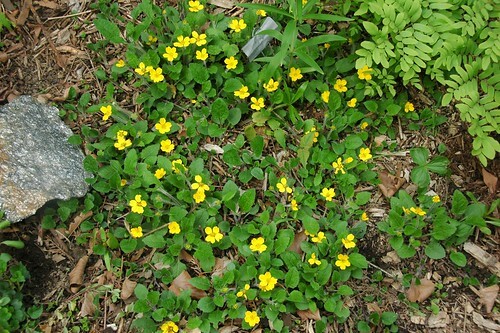 Very often groundcovers escape the home garden and overrun natural areas. A handful of such aggressive types to avoid include: Bishop’s Weed (Aegopodium podagraria), Bugleweed (Ajuga reptans), Crownvetch (Coronilla varia), English Ivy (Hedera helix), Birdsfood Trefoil (Lotus corniculatus), Common Periwinkle (Vinca minor). Do your homework and check the latest information available at invasive.org before introducing a new species to your neighborhood. 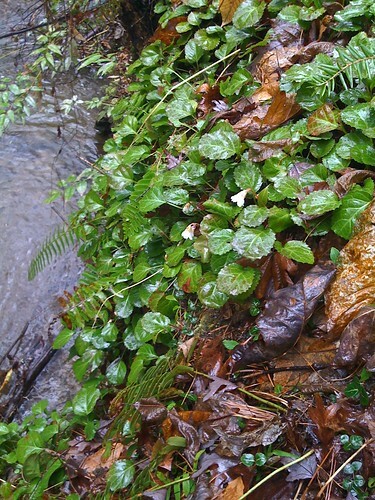 Ferns provide an attractive groundcover in areas where they are native. However, you might find them too aggressive for your landscape unless you have an area surrounded by pavement and buildings which will limit their expansion. Mosses dress up damp, low-light situations and some dry, elevated ones, too. 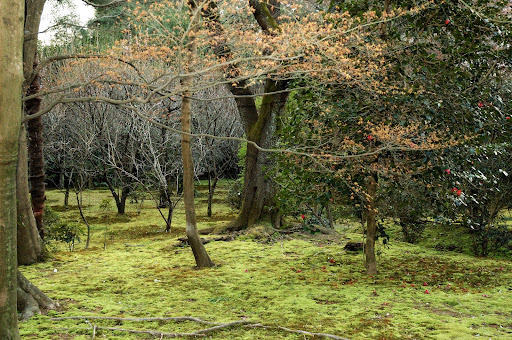 However, weeding may be necessary to keep other things from taking root, so a garden made up exclusively of moss may not be the low-maintenance groundcover you’re looking for. A few especially useful native plants are nominated for your consideration below. As always, choose species native to your region. 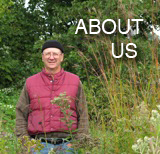 Buy seeds and plants from local growers who have developed their stock from local strains. 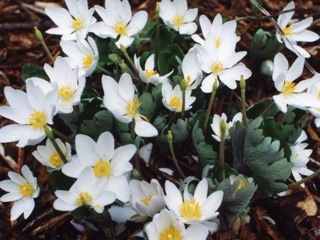 Joining a native plant society or chapter of Wild Ones may give you access to free seeds and plants. Never dig up plants or harvest seed from the wild unless you have permission from the property owner.